If you are an investor in Patna real estate, many a times you need to know where the city will expand and expand fast. Money multiplies with growth in certain areas at a much faster rate than others. An example from Patna real estate is the comparison of two areas left and right of Bailey road, Ramjaipal Nagar and Gola Road. No doubt both have grown but for an investor the question is which is faster and the answer is Gola Road. Patna being surrounded by three rivers has a constraint of growth on the northern side due to river Ganga, on southern side its Punpun River and eastern side is walled by Sone River. Due to surrounding rivers the topography of Patna is like a saucer. The drainage system therefore becomes a major challenge for the real estate development of Patna; at present pumping out water seems to be the only solution. Secondly, Patna is prone to flooding too. In the southern part of Patna there are low-lying areas lined along the bypass road, which again cause a constraint to the development of the area. These areas are being presently used for dumping of solid waste. In fact, almost the entire stretch of the bypass road is being used for dumping of city waste. The development of NH 82 and NH 83 is going to lease life to areas beyond current By Pass of Patna with Sampatchak and Parsa gaining importance. 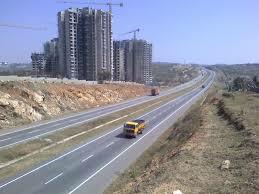 Both are already prime investment destination for Patna real estate. As the city spreads in an organic manner, villages are engulfed, good farming land is sacrificed, open spaces disappear, and costly sources providing public utilities have to be enlarged and duplicated. But the growth of Patna cannot be stopped all that can be done is delay the growth by the apathy of state government for urbanization in state which is obvious with no planned colony coming up in Patna in last 30 years with government effort. 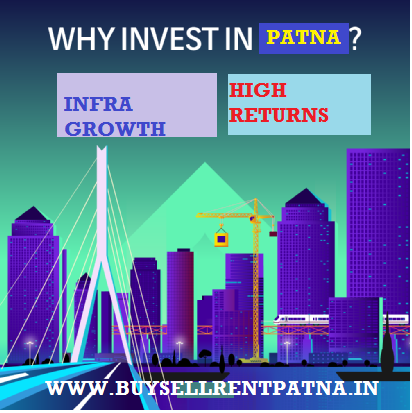 An average real estate investor in Patna does not even think of government doing much for growth. He calculates on the basis of sole private efforts. The signs of real estate development no doubt are going from Danapur towards Bihta. The western frontier of present city, DANAPUR railway station is now the starting point for investors and they might go till Bihta.